Living in Russia, I saw all political conversations as futile. 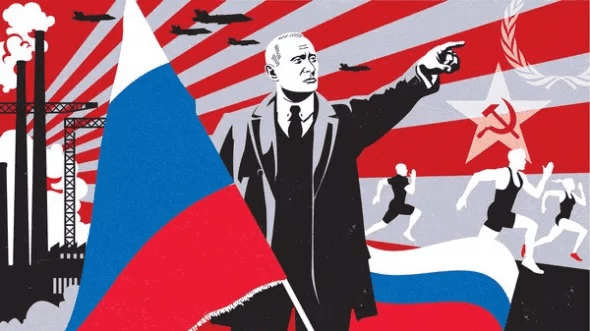 Historical parallels and literary examples, along with some common-sense observations, are used in Russia as a primary basis for political reasoning. This made it impossible to prove or disprove opponents or to make any objective conclusions. Once I moved to the U.S., however, such conversations became much more rewarding. Why? In addition to historical comparisons and literary allusions, Americans used statistics. That systematized data incorporated into arguments forces people to be responsible for their words since any claim if incorrect can be checked with figures and disproved. After some thinking, I came to the conclusion that the reason Russians do not use political statistics lies in their historical woes. From the 1920s to the 1980s, during the period when, according to Harvard Professor Gary King, political scientists in the U.S. first started using statistics, the Soviet Union blocked access to it. Stalin was the first to falsify national figures: He covered up around nine million deaths resulting from Stalin’s repressions and astronomic rates of suicide and incarceration. To make things worse, private ventures for gathering statistics were also prohibited, and the Iron Curtain prevented political scientists from accessing foreign resources. In the late ‘80s, Gorbachev’s liberalization brought about the first attempts to use political statistics more often. However, the period in which statistics could have been popularized was cut short; 11 years later, Vladimir Putin became President of Russia and started heavily censuring the use of statistics, especially in mass media. Now, Putin’s propaganda benefits a lot from the lack of expectations for political statistics and public unawareness of statistical analysis methods. Among other things, Russia justified the annexation of Crimea simply by using historical and literary arguments. When describing those events, journalists allude to morality, national pride, and history. For example, commentators might say, “we deserve Crimea; we are an empire and we historically owned it,” or “You see, Tolstoy, Pushkin, Mayakovsky, wrote about Crimea as a Russian territory.” However, some relevant statistics that might have influenced political decisions, including that Russian GDP per Capita dropped in 2014 from 14,125 to 9,325 while poverty rate increased from 11.2 percent to 13.3 percent in just one year are entirely ignored. When Trump was elected as president, many could not help but notice similarities between his and Putin’s “whataboutism,” and his discreditation of oppositional media soon captured public attention. However, Trump is severely restricted in his propaganda exercises. Unlike Putin, he cannot use historical and literary examples as a sole justification for his political actions, nor can he use specious “common sense” without citing any statistics. In fact, propaganda works best in societies that are conditioned for a lack of statistics; Russians are prepared to swallow political reasoning not backed up by statistics, Americans are only somewhat prepared for “whataboutism.” The fact that Putin’s propaganda yields an 83 percent approval rating while Trump’s only yields 39.3 percent proves that even though America is following Trump down a road which misappropriates statistics, the political atmosphere is not quite as bleak in America as it is in Russia.